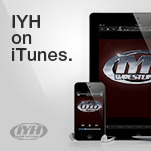 In the first ever IYH Friday Night Special Jack and guest co-host Buck Winchester were joined by Team Elite Sonny Roselli and Larry Huntley. We went over their careers, how they broke into the business, working for New England and Canadian Indy promotions, driving the long roads, a brief TNA stint, road and rib stories, AWA, a possible revelation around the "retirement" of Steve Corino and much more !!! Jack and Buck went over some of the wrestling news of the week in the pre and post interview segments. Check out what Buck has referred to as a "5 Star Classic", and that's out of 5 stars folks not 10. The IYH Friday Night Special !!! The IYH crew went over RAW and ECW this week in a heated debate between Jack and his cohorts Barbie and Incher. Jack enjoyed RAW this week, while Incher and Barbie took the side of hatred and fear. Who was right ? Who was wrong ? Listen and decide for yourself !! In the 2nd hour we were joined by Shawn Daivari in a very in depth 45 minute interview. We covered ROH, TNA and his stay in the WWE. Including managing Kurt Angle, Mark Henry, Khali and Hassan. Wanting to pursue a wrestling career, his Jillian Hall angle, wrestling Jim Duggan, HBK and Hulk Hogan. Being on Wrestle Mania, ECW, Smackdown and RAW. Why he left WWE, if he would come back, his views on the Cruiserweight Division and much more !!! The Cuban Assassin Live Tonight !!! New WYH Playing Listen Now !!! Chris Jericho was our guest this week. We went over his autobiography "A Lion's Tale: Around The World In Spandex". We talked about his training with Lance Storm, SMW, Japan, Mexico, WCW, Ralphus and so much more !!! 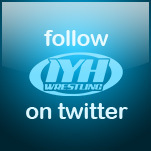 In the pre interview portion the IYH Crew talked about RAW, Cyber Sunday, ECW Monster Bash Battle Royal and lots more. So check it out Junior !! YOU Choose The Guest This Wednesday !!! Click the banner above to vote now !!! The score must be settled. Click the banner above to go to Neal's Sportswear 'N Stuff!! !